Become a part of the American Suppressor Association, and join us as we fight to protect and expand your suppressor rights. This is a prepaid package of five 1 year ASA individual memberships which includes an NFA Trust. Upon purchase you will receive five vouchers with the codes to redeem memberships and trusts. These vouchers can be provided to your customers to redeem for their membership and setup their trust. 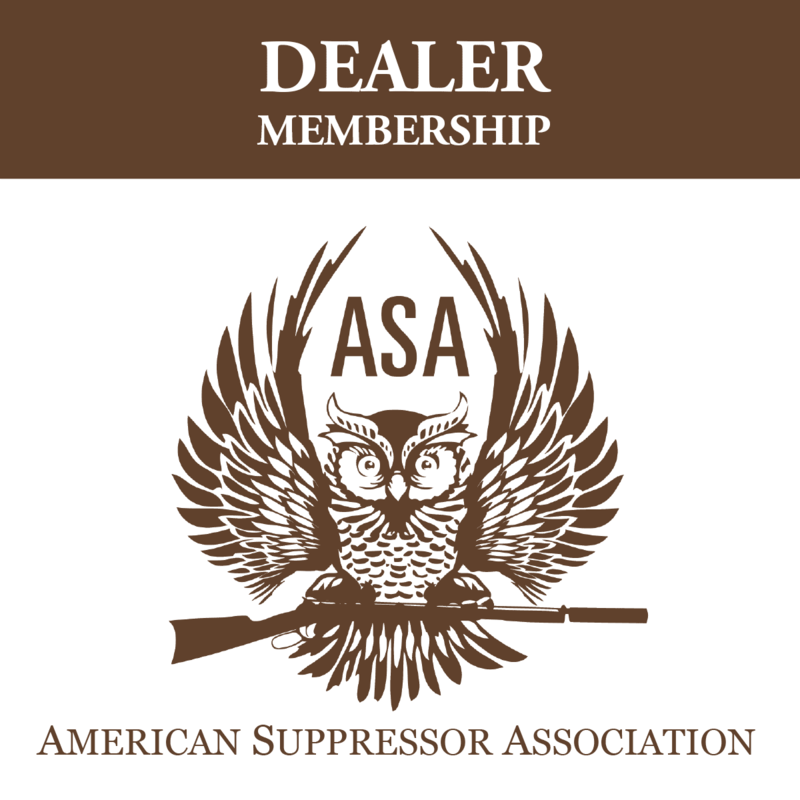 The American Suppressor Association (ASA) is the unified voice of the suppressor industry. Our mission is to unite and advocate for the common interests of suppressor owners, manufacturers, distributors and dealers. To accomplish our mission, our principal initiatives focus on state lobbying, federal lobbying, public education, and industry research. The ability of the American Suppressor Association to operate and advocate for pro-suppressor reform is tied directly to the support of our members. Your membership gives the ASA the resources we need to get the job done. A coupon code and instructions for how to redeem the NFA Trust will be emailed to you after your purchase is complete.